Moments both big and small shape our heroes destinies in two half-hour "Star Wars Forces of Destiny" television specials on Disney Channel in October. 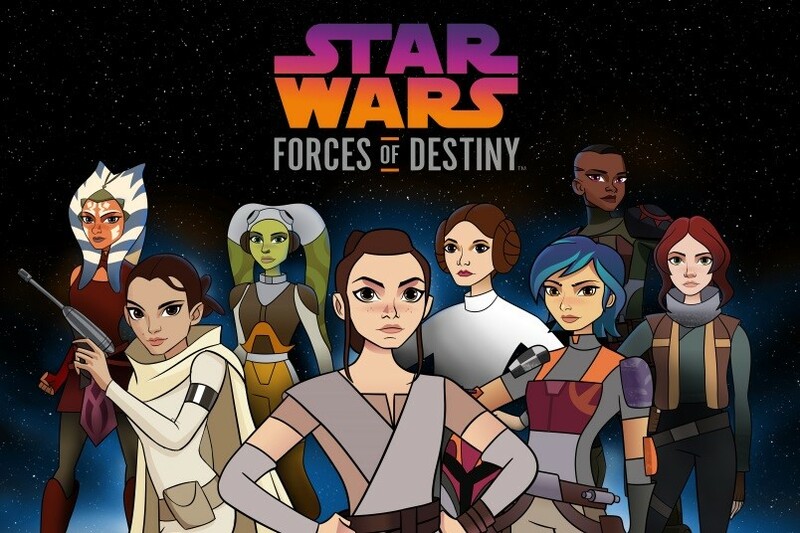 Developed by Lucasfilm Animation, "Star Wars Forces of Destiny" showcases how choices both big and small shaped the destinies of beloved characters. Talent from across “Star Wars” films and animated TV series reprise their roles - Daisy Ridley, John Boyega, Lupita Nyong’o, Felicity Jones, Tiya Sircar, Ashley Eckstein, Vanessa Marshall, Catherine Taber and Matt Lanter among others. "Star Wars Forces of Destiny" will also continue to be supported by global product extensions, such as Adventure Figures and role-play from Hasbro, apparel exclusive to Target, as well as books and comics from Disney Publishing.